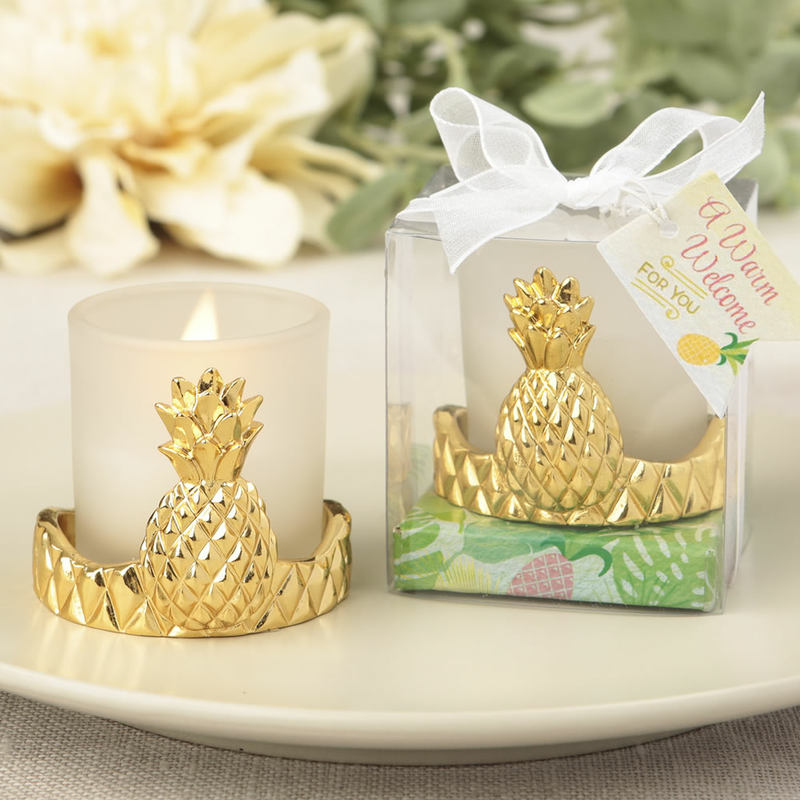 You can't give your guests a warmer welcome than by giving them this pineapple candle holder. Great for a Hawaii or tropical theme party each measures 2" x 2". Each is made from poly resin with a shiny metallic gold plated finish. The base has a pineapple texture and a pineapple extending from the center. The votive made of frosted glass and filled with poured white wax. The packaging completes the look with a tropical design clear box wrapped with a white organza ribbon wrap and bow. Attached to the ribbon is a pineapple design tag with a 'A Warm Welcome For You' message.